Tim is a Senior Director of our Agribusiness Group, based in Brisbane, Australia and has over 15 years’ property experience. Tim specialises in the provision of real property advice to the agribusiness sector in relation to all facets of the agribusiness supply chain. Tim has practical farm experience with a background on his family’s dairy farm in Western Victoria. Tim has particular property experience in the valuation of large grazing portfolios, large scale dairy farms, broiler/poultry assets, agricultural processing facilities, broad hectare grazing and cropping portfolios, viticulture assets benefitted by water entitlements including wineries and vineyards. 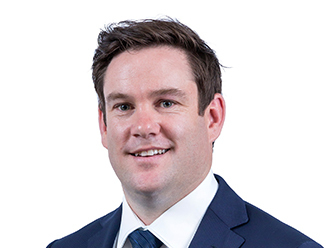 Tim is experienced in undertaking Mortgage Security Valuations, Financial Reporting valuations for both Australian based and International Investment Funds across a range of asset types and Compulsory Acquisition assessments for both private landholders and acquiring authorities (including public and private sector clients).